Happy Birthday! This day is all about you. Enjoy! 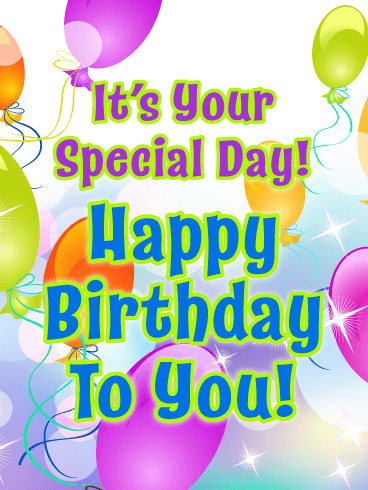 Someone you know has been waiting all year for their birthday to arrive and the day is finally here! 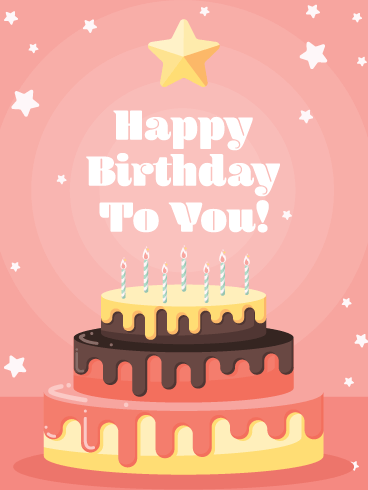 Make them feel special by giving them a birthday card that shows how excited you are for them. 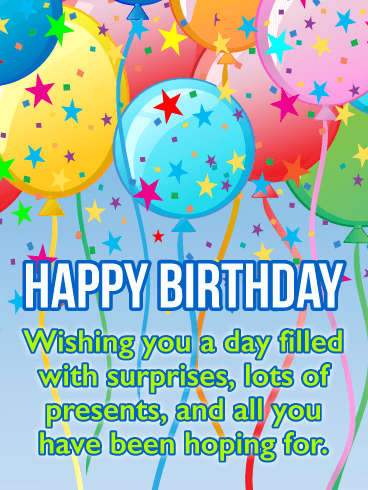 This excellent birthday card has sparkling balloons and large fancy text. It looks terrific! Send it right away, you may just be the first one to wish them a Happy Day! Sometimes you don’t need to say anything different than you normally do. If it isn’t broke don’t fix it, right? 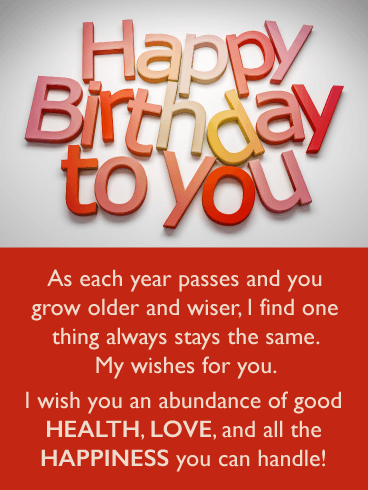 That’s the idea behind the New Year, Same Wish Happy Birthday Card. You want the best for people and the best is health, love, and happiness! 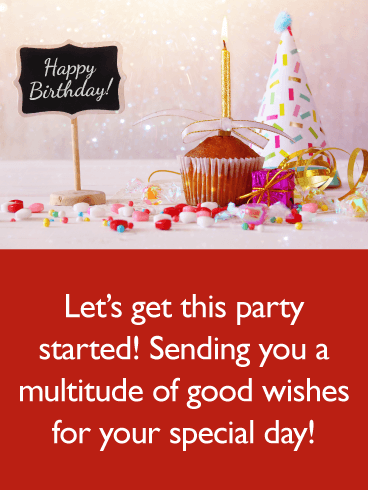 Send this simple, straightforward birthday card to make someone feel good about another year of life lived! 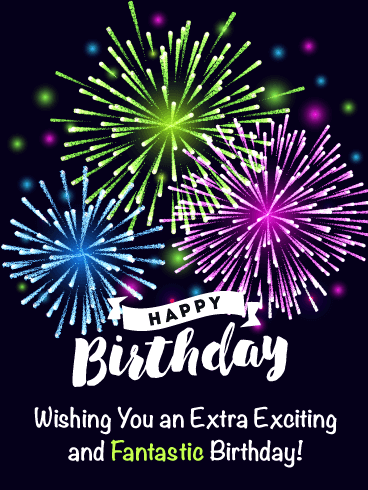 Start someone’s birthday off the right way with a special greeting card that will add excitement to the occasion! It’s filled with colorful balloons, star confetti, and a thoughtful message. 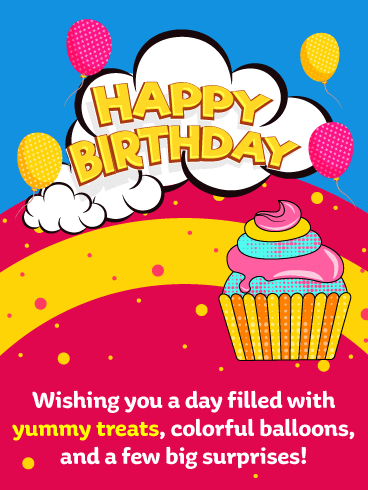 Nothing says it’s someone’s birthday more than celebration balloons, so be sure to send them out today to wish someone a happy day! 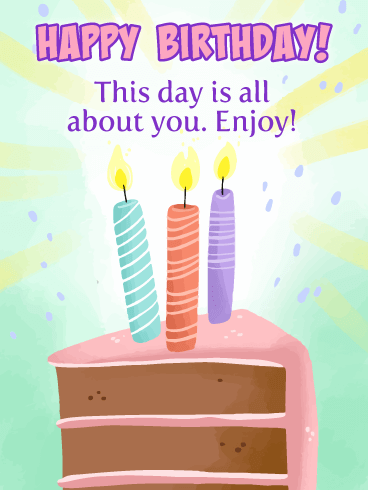 Make someone happy on their special day with this sensational birthday card! It showcases delightful flowers in a pretty pink vase. 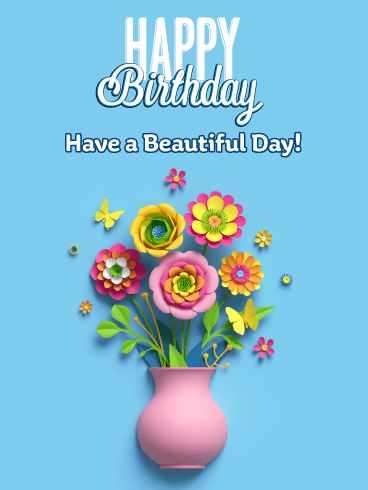 The pastel colors give this card a joyful look that will brighten the day of anyone you send it to. 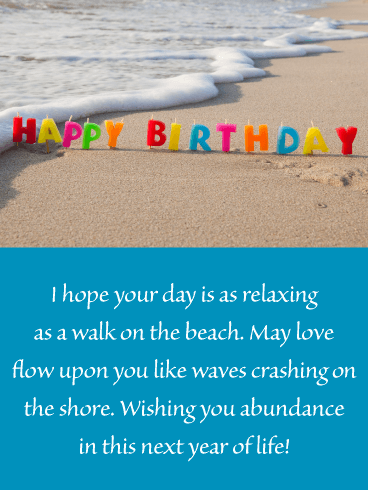 Birthdays are special occasions and deserve the best greeting cards, so be sure to send this one on its way to wish someone a beautiful day! Mmm, this card makes us think of chocolate-covered bananas. 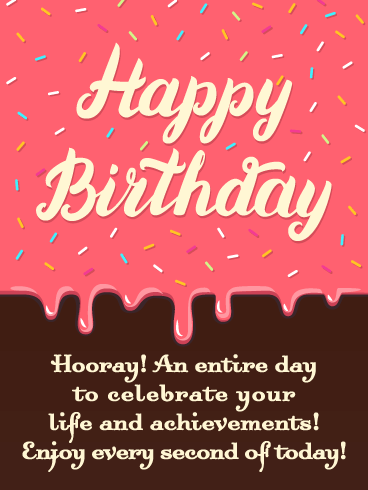 Maybe that’s the flavor of the darling yellow-frosted cupcake that graces the card! Here’s hoping! 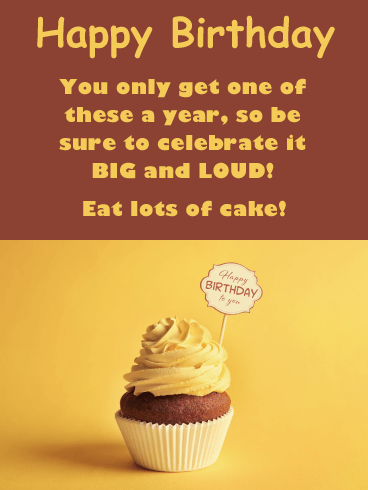 Anyway, send the Yellow Cupcake Happy Birthday Wishes Card to someone who needs to be reminded it’s their day to go BIG and eat as much cake as they can! Judgement free zone! After all, you only get one birthday a year! Dripping pink frosting, bright, sugary sprinkles. Is this a card or a delicious doughnut? We really weren’t sure at first, but it’s a card (so don’t try to eat it!). In fact, it’s the Pink Frosting Happy Birthday Wishes Card and it’s perfect for someone sweet and classic! Hooray! A whole day just for celebrating their life. 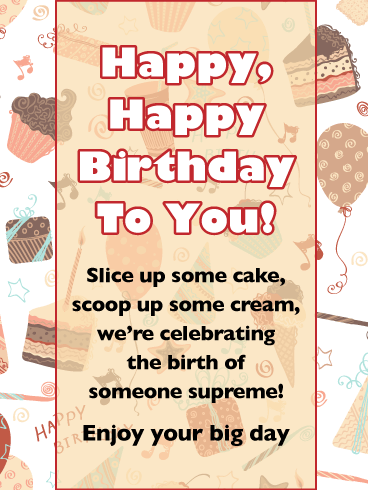 Send this card to remind them to enjoy every sugar-soaked second!